You know that feeling you get when someone insults you and you think of the best comeback in the world just seconds after that person has left the room? 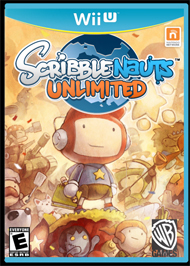 That's sort of how I felt after walking away from Scribblenauts Unlimited at E3 this year. 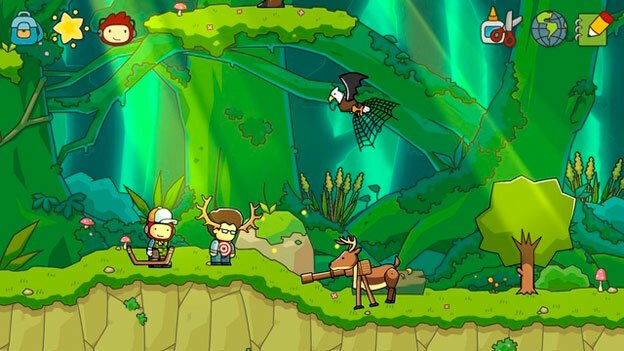 You see, the idea that Scribblenauts Unlimited lets you create pretty much anything you can think of is an overwhelming one. By the time the implications of this truly sank in, I was on my way to see another game in another booth, plagued with thoughts of, "Wait a minute, I bet I could have created a giant purple space lizard that spit candy corn and jelly-filled wizard hats out of its mouth while rolling around on wheels made out of moldy cheese." Well, I probably could have created that very thing. No lie. The creative options here are overwhelming. But the creativity really starts flowing with a brand new feature that lets you actually create complex items from scratch. It's not just nouns and adjectives anymore. Me being a Scribblenauts virgin, the booth rep walked me through the process of making a pink toaster that shoots toast and has basketballs for wheels. I was given a series of sliders, which could adjust this object's speed, gravity, and health. We then added a saddle to it and named it the "Tostermibile." (Apparently, being good at spelling isn't a prerequisite for getting a temp job as a booth rep.) When I was wandering around in the world, I typed the word "Tostermibile" and this goofy contraption showed up. Because of its saddle, I was even allowed to let Maxwell ride around on it. Unfortunately, its habit of spontaneously shooting toast at things made the NPCs instantly hate me. 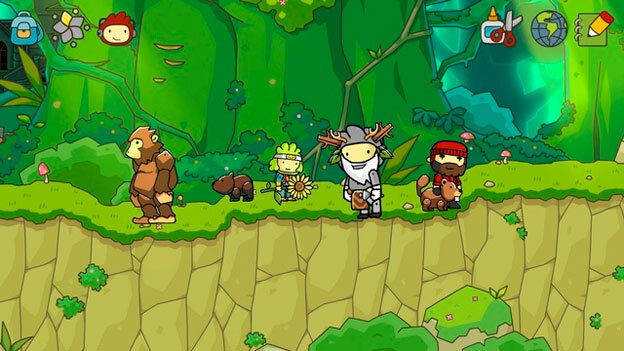 Now, if you're a Scribblenauts veteran, the phrase "wandering around in the world" in that last paragraph may have caught your attention. 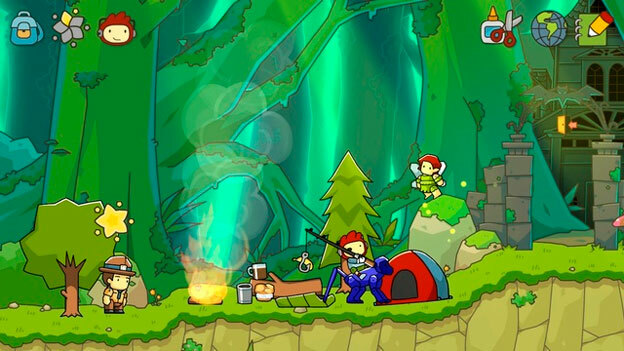 Yes, Scribblenauts Unlimited has a fully explorable open world for you to roam around in. This world is composed of various areas that have clever puns for titles—the area I explored was called the "Meta Forest," for example. I quickly distracted the booth rep before he could tell me that this was the "metaphor-est" place in the game by asking him about a haunted mansion I saw in the background. I was told that this wasn't fully implemented in the build I was playing, but eventually it would be explorable like the other areas in the game.